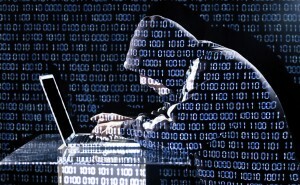 Hackers today are more skilled than ever than breaking into wireless networks. The WEP password, once considered an acceptable method of protection, can now be cracked in 5 minutes using programs downloaded from the internet. Today’s enterprises require more advanced security protocols for their wireless networks. This ensures that sensitive information belonging both to the enterprise as well as its clients does not reach prying eyes. The value of this kind of security to a business’ integrity cannot be understated. With this in mind, let’s discuss some of the ways wireless networks can be made more secure. There are two types of transmission protocols: standard and proprietary. Standard transmission protocols, such as 802.11, allow any device to access the network. These are used at places such as coffee shops and other places that offer wifi to customers, for example. Proprietary protocols on the other hand only allow certain devices to access the network, thereby improving security. Authenticated routing prevents other devices from accessing your network by using a password that allows two access points to communicate. WPA and WPA-2 have replaced WEP in this function, and provide much more security. Authorized users of the network may unknowingly and unintentionally allow undesired users into the network. Rogue access points are a common source of this problem. Most business-scale networks have rogue access point detection built in to detect and eliminate these points. By filtering the MAC addresses, unknown devices are prevented from connecting to the wireless access point. Encryption is absolutely necessary for network security. AES standard encryption is known for its protection. As encryption is a data-intensive process, it’s best to use either a separate device or one with a dedicated encryption module. Stronger networks aren’t always necessarily better. The stronger a network, the wider its reach, and the greater chance that someone close by can access it. Keep the network within the confines of your enterprise. This entry was posted on Thursday, April 3rd, 2014 at 5:15 pm. Both comments and pings are currently closed.